We believe that a home's interior should reflect the individual’s personal circumstances or sense of style. Whether you're a single guy (or gal) intent on creating a space of your own or currently in a relationship (and hoping to integrate two disparate visions), you deserve a space in which you feel not only comfortable, but validated in your sense of style. Whether featured prominently or included in subtle details throughout your project, metals can instantly amp up the perceived masculinity of your interior design. This is one of the easiest style upgrades to incorporate; simply swap out the hardware on your drawers or invest in new towel bars or stools. Metals are uniquely versatile; whether you prefer copper, bronze, iron, or stainless steel, you'll easily find stylistic updates that both fit and elevate your current space. If you're on the hunt for a more permanent fix, you'll love the range of ways metal can be incorporated in backsplash or other tile elements. 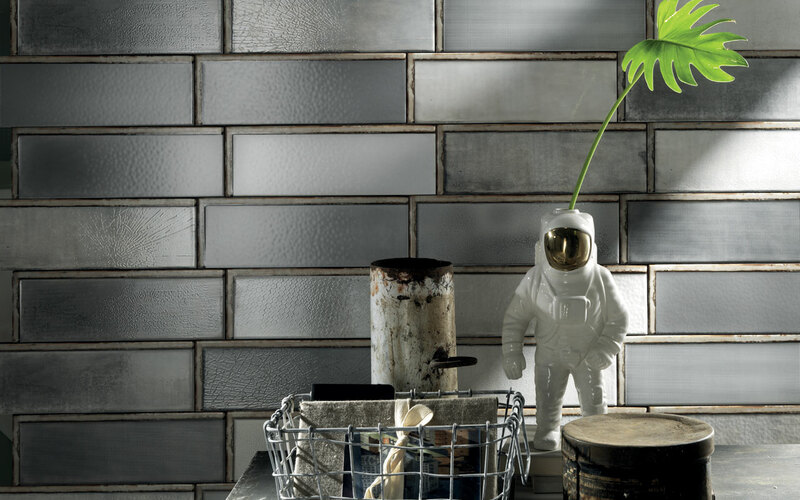 The Aviator tile from Artistic Tile, for example, captures turn-of-the-century industrial style. This design elevates sleek limestone with inlaid metal and machine carving. With Artistic Tile’s Tempo tiles, however, the designer offers a completely different take on masculinity: sophisticated, yet subtle — and lively, yet grounded. 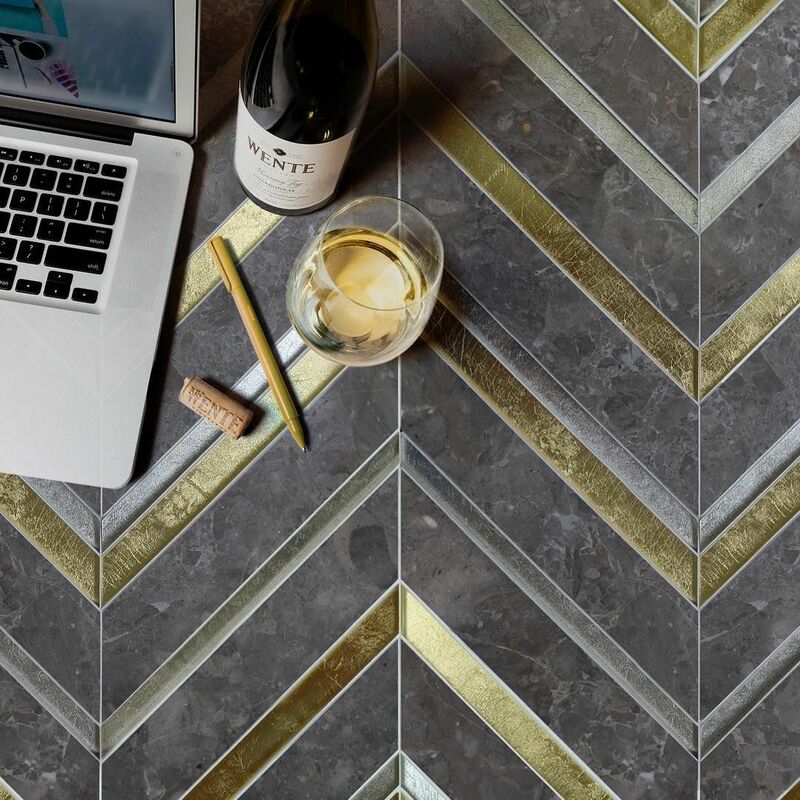 The tile's unique pattern features brass lines and squares, which provide a sense of understated complexity. Artistic Tile is just one of several tile authorities currently bringing masculine style to the forefront. 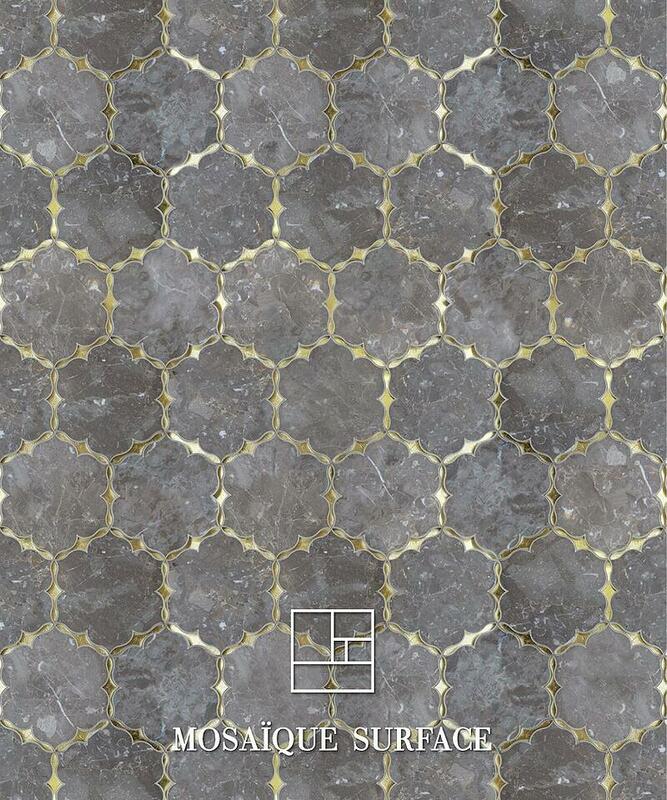 Mosaique Surface ups the ante with the Adele tile, which, despite its feminine-sounding name, holds a decidedly debonair appeal. This unique take on chevron brings together neutrals and metallics in a way that holds simultaneous rock star and gentlemanly appeal. From brick walls to distressed surfaces, industrial elements abound in today's hottest styles. This modern aesthetic allows you to show off your gritty sense of style while embracing a masculine look and remaining firmly on trend. Despite the instant strength they convey, industrial-inspired spaces have a familiar, almost homey feel. If you're looking to bring an industrial feel into your space but aren't willing or able to commit to brick, industrial glass is a great alternative. 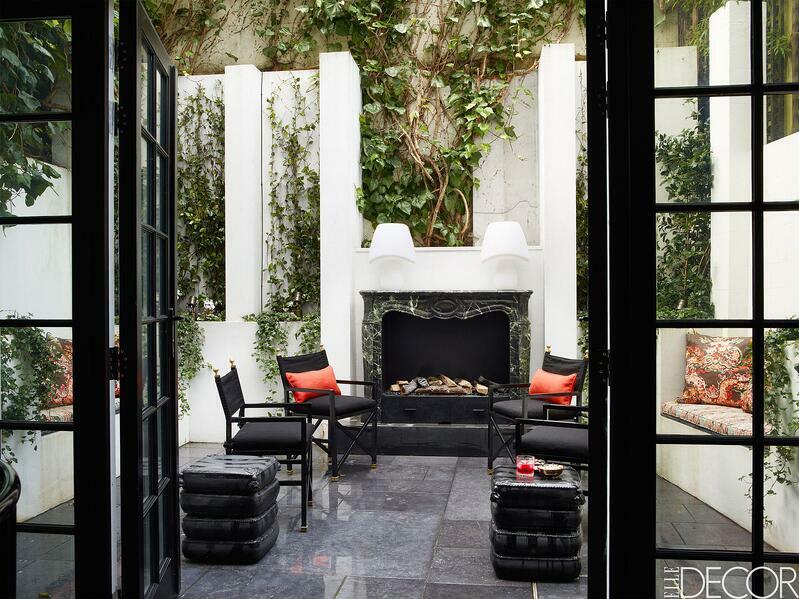 It carries antique vibes, and yet, fits in effortlessly with a modern masculine aesthetic. We're especially fond of Diesel tile, which makes the most of craquelé textures. The sleek Diesel look is particularly well-suited to kitchen or bathroom backsplash. It can blend in if desired, or stand out in a statement wall. 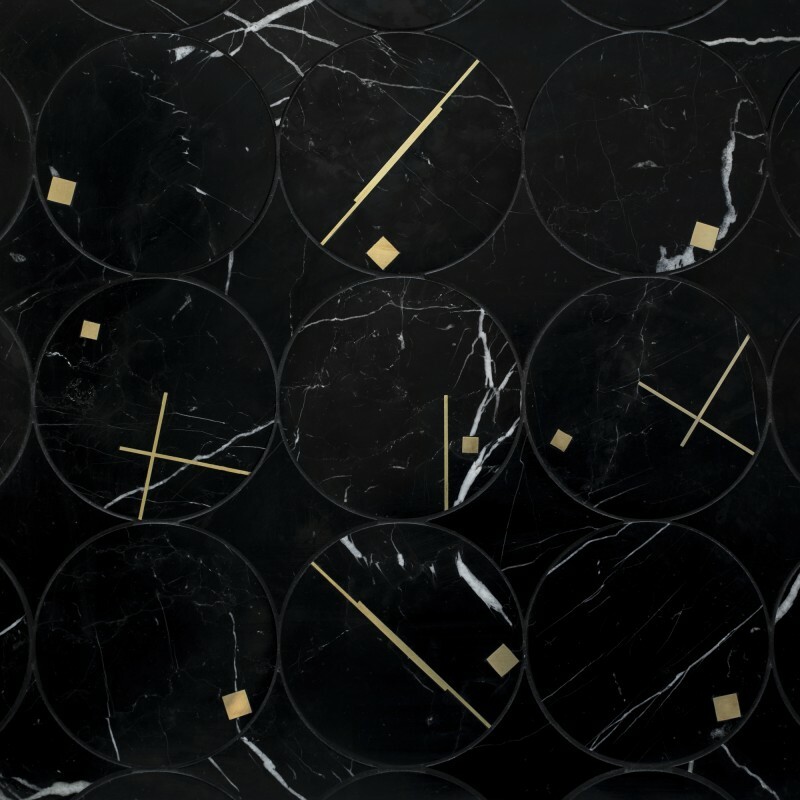 Stone — and especially marble — designs can bring instant class and elegance to any space. These materials are far more versatile than most people suspect, however, and can also be used to deliver a distinctively rugged feel. Stone evokes strength more effectively than virtually any material imaginable. It's notoriously durable; with proper installation and maintenance, you can expect to enjoy your stone flooring or backsplash for decades. Many stone designs harken back to ancient traditions, bringing a sense of gravitas while paying homage to the stylistic geniuses of yesteryear. 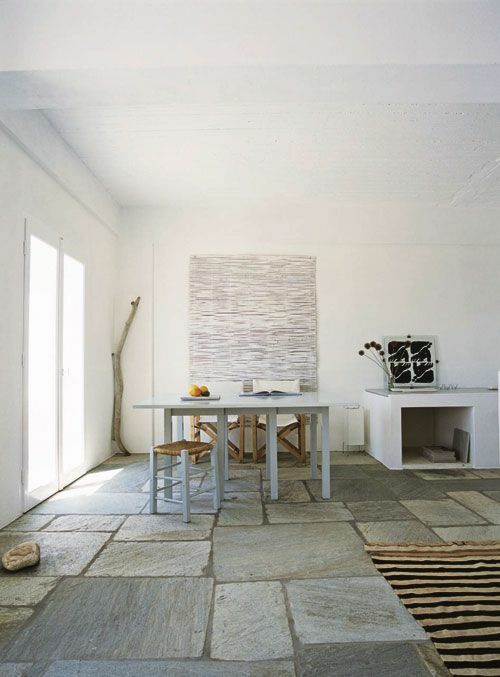 Greek styles, for example, can be decidedly rugged while still offering plenty of sophistication. While we will happily recommend a variety of stone designs, we especially love the rustic masculinity of reclaimed designs. Each reclaimed look offers its own take on history — and each design has a unique story to tell. With stone, however, the reclaimed concept isn't merely rustic; it bridges the divide between upscale and homey. It's no wonder reclaimed floors are so hot right now. It's more than possible to embrace modern style while still maintaining a decidedly masculine feel. Even a few rugged details can bring new strength to your project. Don't be afraid to play with metal, stone, or industrial glass. You'll be amazed by how quickly a touch of masculinity can up your style cred. Regardless of your preferred aesthetic, the talented team at Decorative Materials is capable of bringing it to life. If you're ready to broaden your style horizons, feel free to check out our Tile Trends from Around the World Map — you'll find additional masculine style ideas from all corners of the globe. You can also see some of these styles on display in our tile showrooms. Call us or contact us online today to learn more.